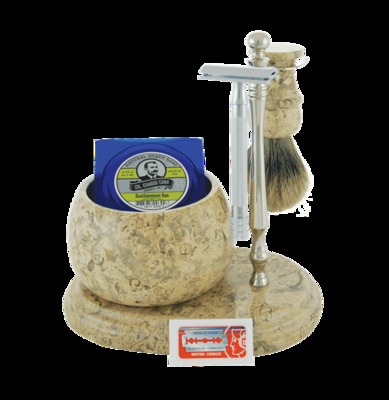 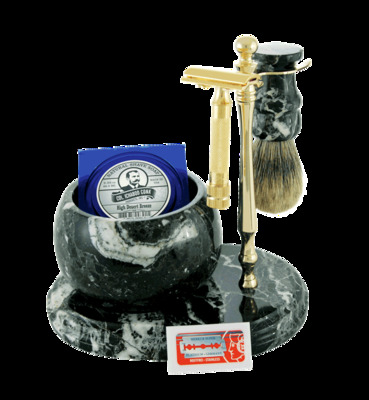 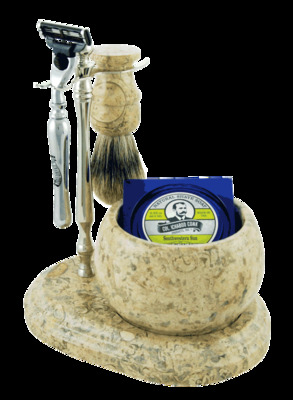 Shaving Gift Sets Complete with Razors, Soap, Cream, Brushes, Bowl & More! 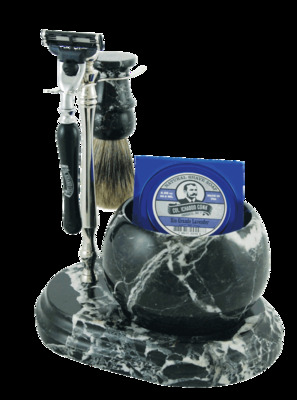 Our goal is simple: wet shaving is like a journey, ideally a lifelong one. 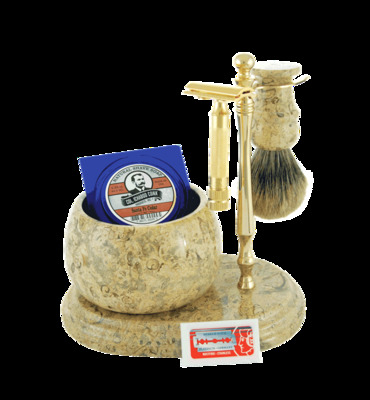 One needs proper supplies, whether one is just starting out – or an experienced hand who needs to replenish when quantities are low. 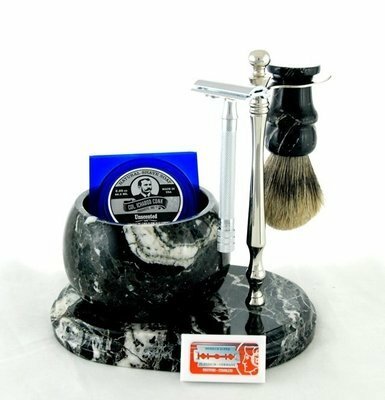 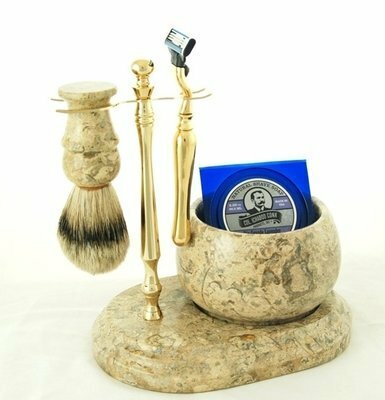 Whether you are looking to start for yourself, find a gift for one who is starting out or surprising the experienced wet shaver – or simply treating oneself to a packed set of superior quality implements – you'll find just the right combination with the proper assortment of razor, soap, cream, bowl, stand, brushes and more. 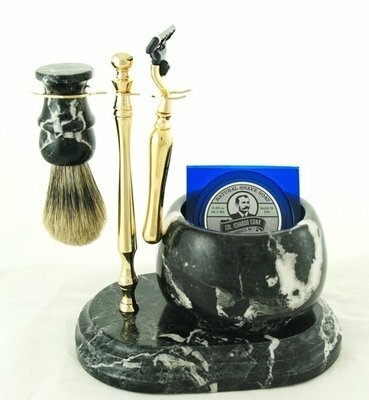 Col Conk brings the beauty of both Marble and Onyx into the shaving arena. 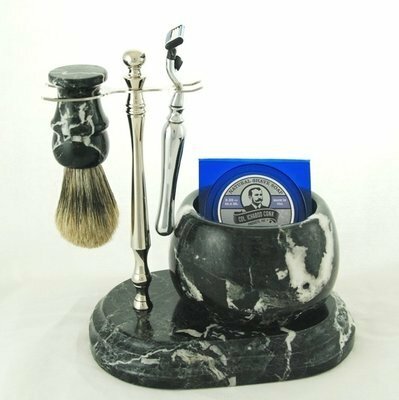 All Marble and Onyx sets are hand crafted and are all unique in appearance.